As your little one starts to wean, you’ll notice that the mess gets progressively larger not the other way around (until you’ve lost your mind!). The amount of gadgets you need to keep the house and your baby clean whilst eating can be too many to count (or store/clean for that matter). Don’t worry, because at moomboo, we are working on a solution to the problem. In the meantime, here are our tips for cleaner/tidier eating that is fun for your baby and more convenient for you (tidier and not expensive)! 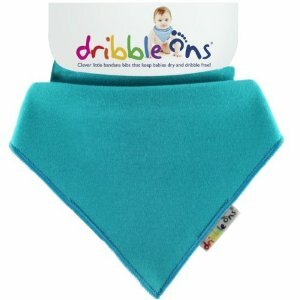 Dribble Ons, Bandana Bibs, and IKEA Bibs (these work wonders under a plastic bib) – all pictured below. By the way, if you prefer disposable bibs to avoid the washing, we’ve also tried Tommee Tipee Explora Disposable Bibs, and they work rather well. Buy a floor mat unless you have hardwood floors and you can just wipe them clean and save yourself this expense. Below is the Prince Lionheart Catch All Floor Mat; if you have to buy one, we like this the best for its neutral tones. Both of us have the Stokke high chair, which allows you to buy its integrated little chair tray separately (but it is on the pricey side). We do not recommend buying the Stokke table tray – its also expensive and not very useful if you have a table that you can bring the chair up to. There are of course more portable placemats that can pick up the food from getting to the floor, but these don’t always catch the food. Rather than you stress out about whether the food will be caught or not (and pass on your nerves to the baby), best to let them drop whatever they want onto the floor and then just wipe the floor mat. I’m sure you will agree that the most important thing is to let your child play with textures and the best way to let them do that, is to give them a bit of free rein in the beginning! Of course if you’re weaning on the road, then you should invest in portable things such as the above Summer Infant Tiny Diner Placemat (pictured in green). In sum, no easy solution, but there is no need to splurge on paraphernalia – just be clever about what you really need (and watch this space for moomboo’s future solution- if you’re interested please send us your email and we will notify you as soon as our cover all bib is ready – contactmoomboo@gmail.com). Send us your “keeping-things-clean-whilst-weaning” tips and we’ll post some of them in our FB page so our fans can learn from your experiences! This entry was posted in Feeding, Unnecessary Baby Items and tagged baby eating, mess, weaning on March 10, 2013 by moomboo.